In Columns, Pushing Through the Pain - a Column by Lisa Burks. Hello, all! I want to start by talking about a very concerning matter. Last month, I started my column about chronic pain, “Pushing Through the Pain.” A few readers commented that the title suggested I thought people should ignore, accept, or just live with pain. This is not how I meant it to come across. “Pushing Through the Pain” is meant to be empowering! Most everyone who reads these columns likely suffers from numerous health issues. I have met people who let their health consume their lives, and watched them become bitter over time. I get it. Living with several medical conditions can be overwhelming and tear you apart inside. That is emotional pain. In my mind, “Pushing Through the Pain” means not letting your health bring you down. Keep fighting! You need to keep going, pushing through all of the obstacles life throws your way. Tagged chronic pain, fentanyl, pain management, pain management specialist. Unless you have lived with FM pain for 30+ years and disappointment with the Medical Field for it’s lack of knowledge and treatments, it’s a lack of sensitivity to our plight by saying pain is pain. To have doctors actually tell you fibromyalgia doesn’t exist, it’s all in your head, or take an aspirin. I am sorry to hear that you have been living with FB for over 30 years. Im sure you have had numerous struggles and pain. I have to be honest here and ask where you are seeing me say in my column that I think that “pain is pain”? And I have never, nor will I ever say that FB doesnt exsist, pain is in patients heads or just to take asprins as if it would help everyone? Ma’am, I have lived with unimaginable pain for a very long time, I’ve been at the mercy of a doctor who didn’t believe me at first. So no, I would never discredit pain. What I do think is that, no matter what type of pain or the causes, people living with pain are suffering. It’s hard and impacts the quality of life tremendously. In my post I also said that not being believed by doctors, saying its in our head or questioning if we are in pain at all is absurd and steps over the line. I assure you I am not insensitive about any matter relating to pain. It’s a bit offensive that you would put those words in my mouth as if I said that. I did not. I would not. I have had it for longer than diagnosed. I understand what you are saying about doctors not believing. !y doctor told me it was in my head, meaning that it’s the nerve pathways from my brain effecting the pain signals. He didn’t tell me to go take an aspirin. For being a GP, he did try to help. I don’t think anything takes the pain away, but he is learning as we go along. I live in a pain scale of 5. I hope you get the help you deserve. That we ALL deservwe to live a better life. It’s devastating to not be beloved by the very people (doctors) who are supposed to be there to help you with your help but insteady judge and refuse to believe instead. Those drs don’t understand the oath they took to try their hardest to help each and every patient to treat the disease, to feel better and to live a more productive life. If possible try to see if there are any pain management doctors in your area. Seeing mine was one of the best things I could have done for my body. So I wouldn’t live with constant high pain. Although level 5 isn’t the highest by some drs standards it is just enough to impact your quality of life, big time. My suggestion is to maybe locate one for yourself. May be the best decision for you as well. Here is to hoping for better days for you, and lessened pain! I am with you – I have had FM since 1989, so following hot on your heels with 28 years of pain. Like you, I am sick to death of medics giving me ‘that look’ which infers that non-one can possibly be in pain for that long, and even if they were, it’s not due to FM, because ‘We all KNOW (as in the medical community) that FM does not exist! Like you, I have better things to do with my life than ‘imagine’ an illness, probably because I ‘need the attention’! I personally think that the best people, and the most qualified people to comment on FM, are those who actually have FM – and ditto, with most other chronic diseases. I also suffer from the almighty pain of Trigeminal Neuralgia, too, and the same is true for that disease – the best ‘experts’ are those who suffer from it. Kind regards to all ‘out there’ who have suffered long-term FM and the pain that goes with it – KEEP STRONG! I think that it’s easy for someone who does not live with daily pain to think less of our situations. I believe the same as you that it’s mainly people who live with the same conditions that are most qualified to talk and relate..
One big aspect that bother me are the looks and comments made when someone who doesn’t have health conditions sees that you take pain medications. The look of questioning “what condition do you have that you need pain meds for?” or “why so long?” and of course the mighty “do you truly need pain management or are just drug seeking?” It’s one of the most aggravating things to hear. It’s easy to be dismissive when you don’t live with these conditions. I would dare someone to walk in my shoes and then try and question me again. Ya know? It’s doctors who ask those questions or don’t make the effort to treat debilitating diseases that make it so hard to find help. That not only does that not help with pain, it tears you down emotionally as well. Frustrating, saddening, hopelessness. Worst of all is eventually feeling defeated when you live in so much pain and suffering from conditions for so long with absolutely no help or support. It’s very hard! What I have to do is keep telling myself to not give up or give in. To keep fighting and searching for someone who can and will help me. Even if I don’t have some conditions that others suffer from I still tell them to stay strong, keep moving forward and never give up. I am lucky enough to have an amazing husband who supports me. He helps give me strength when things get too hard to fight and keep moving forward as well as some family. I know that many people don’t have any of these, but I always say that having support is vital! Be it from family friends or even support groups online! Trying to keep a positive attitude (as much as possible) can go a long way! Having that can help people have a better outcome. I hope you have more good days than bad! Stay strong!! Wow, you really need to be a bit less worried about supposed attacks on your articles and more concerned about getting your point across to your readers. You are completely missing it! Although I would generally say thank you for taking the time to read my column, I do not appreciate the attack to my post. Your words, lashing out at me, were uncalled for. If you do not like or agree with what I wrote is fine, but it’s not your place to tell me what or how to write. I am open to hearing different takes on the diseases or articles, but atticking it is uncalled for. Many people seem to not share your thoughts. If in your opinion I don’t get how to write, or even if I should, next time please refrain from writing comments here that do no have a relation to my post. I was prescribed the fentanyl patch about 13 years ago when my fibromyalgia pain first started. While it did relieve the pain for a few weeks, I needed a higher and then subsequently higher dose to have the same relief. My pain management physician then decided to discontinue the patch. I went through terrible withdrawal symptoms! Nightmares, inability to stay asleep, and continual restless legs lasted for several days. If you or anyone else decide to discontinue the patch, make sure that you are told how to avoid the withdrawal symptoms. Don’t try to stop the patch yourself! Agreed. Pain is bad, but being hooked on a narcotic has the potential to be far worse long term. The damage to the liver alone is why I refuse to use drugs, or as few as I can get by with. Personally I thought the article was well written and came across well.. I didn’t find it offensive and it made me think years ago to when I first was diagnosed with FM that finally someone in the medical field found out what my pain was all about. I was overweight at the time and struggled to continue with my part time job and looking after my family as well. The worse meds I was prescribed was Amitripaline if I spelled that right. It didn’t give me the level 3 or 4 sleep I needed and although I was awake during the day I didn’t really feel awake and functioning til about 3pm in the afternoon. It caused so much brain fog and didn’t help the pain. The worse side affect was the intense craving for chocolate. I couldn’t control the cravings and gained a lot of weight that first year. I went back to my GP and asked what were the side effects. The craving was one of them so I stopped taking it immediately and started to do walking and exercises in the pool at a rec centre for people with arthritis. 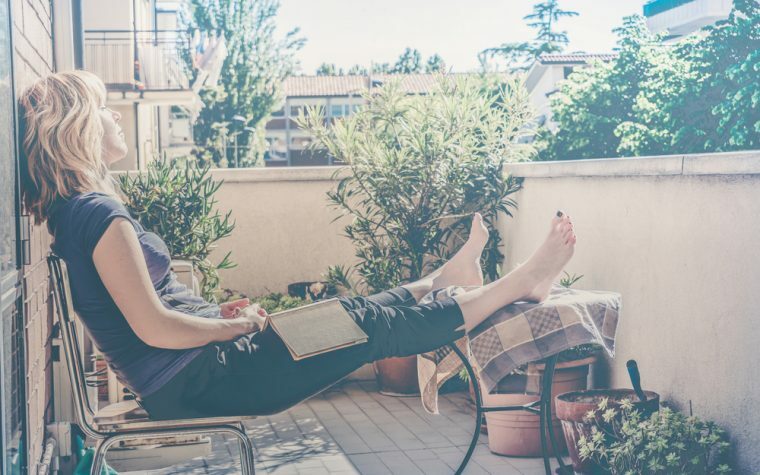 It helped and over the course of years I learned to learn how not to overdo things and if I did I gave myself a 20-30 minute break and then continued on with the day. As I was loosing weight I felt better and added some weights in the gym. Small stuff and it helps as I was told that the muscles in our body shrink during the pain and stretching helps by putting oxygen in the muscles. Had to give it a try and it seemed to help me. its been over 20 years but on the average I am doing better. I have a 40 minute power walk in morning and do my best to keep positive and moving about during the day. In little ways not in excess of anything huge. I try to plan what I do each day to keep up with chores.. Yes its an effort and yes I hurt especially with humidity but as the previous article says keep positive and keep trying. Don’t give up. I sympathize with all of us with FM but I wont let it get the best of me either. Hope this is taken as an encouragement for others and not meant to say anything else.. It takes times and there is different levels of pain we all deal with too. I will keep praying for everyone and thankfully my pain has a name so others know that it is real. Hang in there and one step at a time, knowing that I am not alone with this helps encourage me to carry on as well. We all support each other one way or another. Hope your day goes well and the pain you feel will heal each day. Keeping you all in my prayers always. I’m sorry I missed your comment! First off, I want to thank you for reading my column and sticking up for me! I really don’t get why some people (trolls) are really out to write disturbing comments and for little to no reason at all. I found out from a different columnist that the 2 people who wrote on my first post are known trolls, never writing anything positive and out for conflict. And then there is this guy Don.. The guy from just above your message. He’s written me a couple of messages but I only left one visible to the public. As you can see, it was in no way related to the subject of my post. So, thanks for sticking up for me and saying those nice comments! I totally understand where you were coming from back then. I’ve been on steroids for 14 solid years now. I had to train my brain that I wasn’t hungry to get past the cravings. Some medications, I swear can save your life but have massive affects on your body! With steroids, like Prednisone, I swear you can look at water and gain weight. It’s one of the most common side effects. Easy to gain but hard to shed. The body just doesn’t metabolize foods correctly anymore. That’s usually the case with medications that have noted “possible weight gain” in the side effects lists. When I started working out, as much as I could handle, I did notice feeling somewhat better as well! As of right now I have had a total of 8 total joint replacement surgeries. So you can imagine that it can be painful to move around sometimes, especially when the climate changes. But sometimes at times, moving around somewhat can help the joint pain portion. What you have written is definitely encouraging to everyone who reads it! We all live with different kinds of pain, countless causes and locations, and severity. 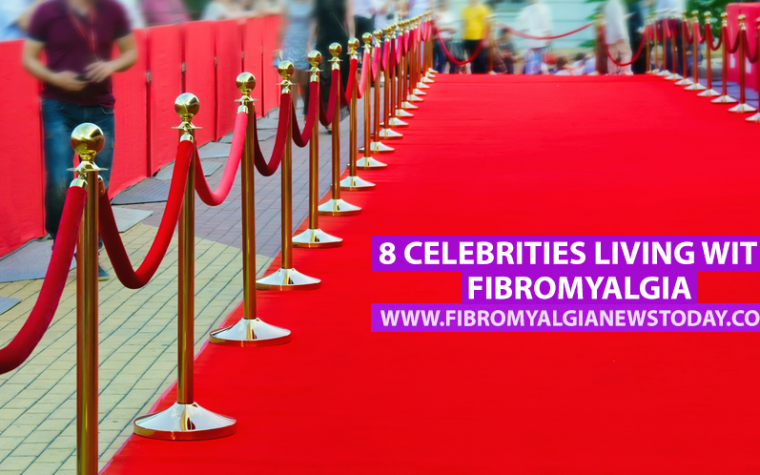 Being here to support everyone suffering from Fibromyalgia, Neuropathy, or any other condition causing people to live in pain is important. I know for me, having a solid support group, friends and family makes the world of difference. I hope that you are having better days too my friend!! Truly!! 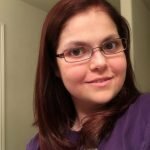 As a fellow fibro sufferer I totally agree with your article. Sad to say that some people use their diagnosis to complain, complain and complain. Heaven forbid you call them on this. We have become a society of victims. Do I hate the fact this diagnosis of course, does it give me a pass to constantly complain, not! I couldn’t agree more. Many people use their diseases as an excuse and pass for having such negative attitudes and complaining to others. I know with hard diseases like FIbromyalgia it can be difficult to keep a positive attitude, taxing living with daily pain, but it shouldn’t be a reason to take it out on others. There seems to be a lot of that! I refused to approve a couple here because they were so hateful. Thank you for reading my column! Really! Hoping for some pain free days for you! Lisa, I was really interested in your article. Thank you for posting it. I take Norco for the pain. I have had Fibromyalgia since my 30s. I am now 71. It has been such a struggle. I have many other illnesses, but none that controls my life like this illness does. I am interested in the patch you use and hope to ask my doctor about it. Norco has helped me, but when I am in a flare, nothing seems to work. So, thank you for posting this. I see my doctor in the middle of September and hope he can lead me where I need to go. Wow you have had Fibromyalgia for many years!! I would definitely ask your dr about alternative pain management options, including if the patch is right for you. It made a big difference for me. Thanks you for reading my column post! Hoping for lessened days filled with pain. Keep going strong! Thank you for defending me here. I have had some trolls come through simply to attack at what i write, trying to put false words in my mouth. I actually denied 2 of the ones here, but in my first post, I didn’t know how to at the time. I would definitely recommend finding a Pain Management dr. He seriously made a huge difference in my day to day life. I believe they will make a difference for you as well! I have heard some good and bad things about the patch, but that goes with just about every medication. Ask questions to find out more from your drs. Thanks for taking the time and reading my column! Hoping for better days, with lessened pain! Hi Lisa! I enjoyed your article very much. Your story and remedy mirrors my life 10 years ago. I too visited a pain management doctor who put me on the fentenyl patch and norco for break through pain. I feel the need to warn you, you WILL get addicted to the patch. You won’t even know it’s happening until you start to feel nauseous at various times of the day and night. I was put on a very low dose and had it increased once. I was very careful not to increase my dose because I didn’t want to get addicted to it. The pain management doctor never told me I would get addicted. After a few years, I would go about my business running errands and all of a sudden I’d have to pull my car over and vomit in a parking lot. Not fun! I did some research and found out my body was craving more fentenyl, basically heroine! I was not going to increase my dose so I decided to get off of it. I had to go through the same withdrawals that heroine addicts go through. I had no control of my arms and legs for a week. My body hurt so bad and the diarrhea lasted for 2 months. Couldn’t eat or sleep. It was awful! Doctors do a disservice to us when they don’t tell you that you will be addicted. I would NEVER be put on fentenyl again. I too suffer from many painful debilitating illnesses and I would choose the pain over the withdrawal any day. I wish you luck but please be very careful. Ok, what you have said concerning Fentanyl patches sounds very scary! I see my pain management doctor on this upcoming Tuesday, so I will bring these concerns up during that appointment. There have been times that I have thrown up out of no where, not being sick, and I had to no idea why. The confusing part is I have severe Crohn’s so I need to find a way to differ the root cause of symptoms. As much as the patch has made a difference, I do not want that to happen. You went through some severely harsh days and I am so glad that you made it through the withdrawal and its effects. That’s scary! What are you taking now for all the pain? Thank you for bringing this to my attention! And thank you for taking the time to read my column. Here’s to hoping you have more days with less pain! Thanks again! Agreed. It’s an end of life drug, for cancer, ect. Not really designed for long term usage. Thanks for taking the time to read and comment on my column post! I appreciate the feedback. Question, are you talking about Fentanyl patches as being an end of life drug? I dont believe it is really a end of the line type of drug, and I know its not just for cancer patients. I am learning more from people on here about their experiences with some medications compared to others. Yes, I have heard some things about Fentanly patches, that at my next pain management doctor office visit, I am going to bring it up to their attention and ask them exactly what is going on. I know that medications such as Norco or Fentanyl can be addicting and its definitely a medication that needs to weened off. Norco, in my experiences when I needed it wasn’t bad on me at all thank heavens! I was able to stop taking it without any withdraw symptoms. My dr said that in some cases, that doesn’t cause a dependency very easily. I’m very thankful that I am in that % of people. I know that with the Fentanyl patches, I will have to be taken off it slowly to avoid any of the serious problems that could occur. The main reason why my Dr.s started me on the patch was because by a certain point the Norco wasn’t giving me enough relief to help block the serious pain I was in. When I say pain, I mean crawl in a ball and not want to move type pain that just wouldn’t ease up. Over the past 8 years my right ankle, right elbow, both shoulders and both hips all died and collapsed due to Avascular Necrosis. So in those 8 years, I’ve had 8 joint replacement surgeries and my elbow reconstructed. Both shoulders needed to be replaced 2x each, and both hips replaced 4x (my left once and my right 3x). It’s like just as soon as I recover from one replacement, another one is needed. I have one more replacement surgery to go within the next 2 months, then I will demand to be taken off the patches. The one thing while being on the patch, is I rarely have to take break through medications (Norco). So at least I’m not needing anything in addition. The only time I take breakthrough pain meds are typically immediately following any surgeries. Another condition not in my favor is I just found out that I have adrenal insufficiency and that certainly doesn’t help anything! My body cant respond to any sort of stress on my body (like injuries, or surgeries for example) so it can make pain even worse. Now that we know that part, I am taking a bit more of a medication to help level out my body. Crossing fingers I am able to get off these meds and be able to function soon! I can handle a fair amount of pain, but when it gets to a 8/9 out of 10, is my limits. I hope that you are doing well! Im glad that you are able to get by without needing anything for the most part! I hope it stays that way for you. So I found out something new about those times that I randomly throw up/get sick and being so tired. I’ve also been having 100 degree fevers for the past 5 months. Apparently I have adrenal insufficiency. Which can explain those symptoms and also can affect pain and pain relief problems. So they are increasing my prednisone dose for now. I HATE steroids. Steroids have ruined so much in my body because of it’s side effects, but I havent had a choice to take them. They have kept me alive over the past 14 years now. Thats why I lost both shoulders, both hips, my elbow needing to be reconstructed and a ankle all because of Avascular necrosis.. Well, found out it causes the adrenal problems too. Thats frustrating. As for my pain management appointment I had a few weeks ago. They agreed to start the decrease in fentanyl patches as everything allows. I have had severe inflammation in the sacs around my hips (bursitis) so I’ve been doing the rounds of fleuro guided injections directly to my hips and putting in stem cells to help with healing the hips. They have had too much trauma, which is where the inflammation is coming from. I have 2 more rounds to go, then we should be able to start the patch weening. I hope you have been doing well!! Thanks again for bringing that info on Fentanyl to my attention! You are probably saving me from going down a path of problems due to the medications. Lisa I have had fibromyalgia for the last 10 years and it took 7 of those to be diagnosed. It is unfortunate for so many fibromites that this is more common than not. I was lucky in the fact that my doctor never doubted my pain but the elimination process took far longer than it should’ve. I took a turn for the worse before my diagnosis came and during that time I became very depressed and I thought things were hopeless. I’ve had lots of ups and downs in the last 3 years and my pain has mostly gotten worse until recently, so I appreciated your take on pushing through pain. Your personal perspective and experience on how you have moved through and processed your various types of pain comes with some wonderful advice. I’m not going to lie, most often over the years I’ve felt like my pain manages me more than I managed it. I’ve gone into really dark places and just wanted to quit. Anyways my pain management specialist made some minor adjustments and increased doseage and things have improved. I was given Baclofen instead of Zanaflex which cleared my mind quite a bit (I’m not in a fog all of the time) and my Norco was increased from 3 to 4 times per day. That and the addition of ambien which has helped me sleep (the Zanaflex sort of did that previously but honestly my sleep was horrendous) all helped to make my quality of life better. My fibromyalgia did not go away but I have seen improvements that I hadn’t seen in well over a year. I can walk up and down the stairs without needing to drag myself up or using the wall to hold myself up as I go down. Now I obviously can’t run or make multiple trips in quick succession like I could when I was healthier, but I can walk. I can now go to the store for a few things and walk instead of using the electric cart which is amazing to me! I’ve also been able to cook a few meals and I was unable to do that before as standing for that long wasn’t possible. These small things are huge successes for me! This isn’t everyday and I still need to rest often and an outing to the store will most definitely require a nap afterwards and often a day of recovery. But before this I hadn’t left my house in months other than for doctor appointments and my husband was cooking all meals. I am grateful that I can do these things because I know what it’s like not to be able to. I still have to ration my energy and I still live in pain everyday but things are better than they were. I believe the underlying message of pushing through the pain almost isn’t really about pain which seems odd haha (this is me and my own experience speaking) it’s more about hope that things will improve, it’s about not giving up when things feel bleak, and it’s about continuously looking and fighting for new and better ways to get through the pain and to keep living. This is hard and I don’t always succeed, sometimes my pain gets the best of me. Without hope of any kind this pain we live with would be too overwhelming it’s can easily swallow you whole. I am so lucky to have my amazing husband of 20 years who supports me and fights for me but his belief in me and what I’m going through has been monumental in my ability to stay hopeful. My children have also stood by me and have helped me so much. They help me more than they know just by standing with me through this battle my body is waging against me. Wow! You certainly have been through the ringer! I can’t thank you enough for all your kind and encouraging words. You’re absolutely right, people handle stress and pain differently and cope differently as well. I can see how it can be easy to go down the route of becoming bitter and hateful towards the world. Loosing hope or the want/need to continue on Miving forward is probably one of the hardest places to come back from. I too have an amazing husband of 10 years that is my rock. He brings me back anytime I start to become too overwhelmed with grief, stress and when things get tough hopelessness. It’s hard at times when you feel like every time you take one step forward, you take 3 back. My parents are also pretty close to around where we live. So that helps. I want to live for them. For me. I don’t want to give in and stop living my life. Pain certainly makes things seriously hard to get past or work through, but eventually with the right help and determination it is possible. A several ago I was stuck in a chair for 5 years. It felt amazing to go from that to being able to walk in a store. It seems so simple and funny to others when I say that walking into a store was monumental to me. So I completely understand how you felt finally being able to yourself! I’m so glad to read how much progress you have made! Truly amazing! I hope that you continue to be as active as possible and a full life! Keep that positive attitude! Thank you so much for your encouraging letter!! This made me feel a lot better. I almost decided to not write in here again because of how bad I was being attacked with my first post. It was bad! I got a nasty one on this post too, but refused to even approve it. It was that bad! I turned him in. Keep your head held high and that awesomely positive outlook going strong! Hoping for pain free days for you! your artificial was good and the comments from readers were hit and miss. But I live in Ontario Canada and the drug you are on has been band because of its horrific side affects. There has been many reported deaths because of this drug!! So please speak to your Dr.!! Thanks for taking the time to read and respond to my post. I just read one other person say I should talk to my pain management dr about the patch. What y’all have said has been pretty concerning. Thankfully I have an appointment scheduled for next Tuesday morning. I am going to bring up everything to him then. See what he thinks and possibly other options I can take that may be less dangerous. I know all medications have side effects but these are scary ones. Thank you for bringing this issue up for me! I can’t believe it’s banned in Canada. Wow! I hope you are doing well! Take care friend! Oh my gosh, he chewed on them?!?!! That’s definitely a way to overdose! You aren’t supposed to do that. Only one patch at a time for 72 hours. He was trying to get high for sure!! I worked in Nursing homes for awhile. We had people that knew when we replaced fentanyl patches and would come in and take the patches off the old folks. It was awful for the patients! Any kind of narcotic will cause dependence. Even if your mind says that you don’t need them, your body becomes tolerant of the meds and you WILL go through withdrawal. I asked my doctor to switch to Ultram because of all the DEA stuff going on. Ultram is a lower dose of the narcotic meds. I was hoping to get weaned down so I could stop. My body did react to the lower dosage. Eventually the ultram stopped touching my pain and I went back and got back on the vicoden. It’s a vicious cycle. Be sure to talk to your doc about any changes you want to make and do it really slowly with medical help. Narcotic withdrawals, unlike alcohol withdrawals, won’t kill you, but you’ll feel like you’re going to die. Much love to all! I hope this finds you having a good day and feeling best you can! Question, when you said in nursing homes you’d see the elderly people have their patches removed, do you mean changed (q72 hours) or completely taken off? I know that opioids can cause a dependency to everyone to takes them. Pill or patch. It’s dangerous but I get it, sometimes it’s better to treat the pain so you can function rather than be in constant pain and not able to. In the past I’ve been on Norco and Fentanyl Patches. Because I’ve been on them for so long, I have built up a tolerance to the Norco so it had to be a higher dose to be therapeutic. I just don’t like taking the pills. Thankfully being on the patch I rarely have breakthrough pain, unless there is a reason such as advancing conditions, injuries etc.. but I completely agree with you. Even if in your mind you don’t have a dependency it doesn’t mean your body is the same. I do notice if I’m late changing the patch I will hurt more but I can’t tell if that’s because of needing it back or from my body’s condition that causes me pain. I definitely will go through my doctor if I want to make changes with any medication. Many medications you have to wean slowly or big complications can occur. It is a vicious cycle. That’s why pain is hard to treat. Thank you for reading my column and the advice! I hope you are doing well!! Hi Lisa, I did not see your previous article. But, I did read this one. I saw nothing offensive by reading the article but the Title was a little off for ME! I just went to a pain management specialist last week. My impression was NOT good. His intern, fellow or what ever you want to call the one that comes in prior to the actual person you are there to see. He pushed so hard on my pressure points, he immediately sent me into a migraine and made me hurt so bad I could barely walk out of the facility. Once the actual doctor came in, he didn’t even exam me. He goes you have fibromyaliga, which had he read the lengthy medical history I provided him, he would of know that yes I do have fibro. His answer was, all I need is 1 hour of cardio a day 6 days a week. Really!!!! If I could do one hour of cardio, I wouldn’t be there to see his arse! Sorry! I looked at him and said yes, exercise is great but I have to be able to function in order to exercise. He just stated that if I did 1 hour of cardio 6 days a week all my pain would go away. I’m sorry, I don’t see that happening. I don’t just sit around, I still need to function. I’m a mom, all though my daughter doesn’t live at home, I’m still a mom, a wife and a daughter that takes care of her elderly father. Most times I can barely function. I’m hoping that when I see my primary care doctor tomorrow he will have some other suggestions. I know that exercising is a good thing, my hubby and I have started taking arthritis warm water classes but even those take everything out of me. Yes, I push through the pain but at what cost does that have on your body both mentally and physically when you have doctors that are like the one I mentioned above. I know there is no magic pill to take it away, but to have a doctor show an understanding and compassion for his/her patients goes a long way. Thanks for listening. Wishing better health for everyone! Thanks for taking the time to read my column! In my first post a couple people left some pretty hurtful comments. Saying I’m inconsiderate, or suggesting to ignore/deal with the pain or walk it off., like the mindset of the doctors you just saw. Of course that’s not the case at all. I was just contacted by a couple other columnist for this site and was told these same couple people actually write rude and hurtful comments on most columns on this site! I was feeling pretty hurt by the comments until I heard from those columnists. I can see how the title could rub some people the wrong way, but only until they find out what the true intention of my title is. It’s meant to be empowering not demeaning. Thank you for keeping an open mind about my title and column! I can not believe how your PM office visit went! That fellow or physicians assistant was completely out of line. Having your symptoms and history written out he should have seen you had that diagnosis and how much pain you live with. And for the doctor to tell you to work out 6 days a week and you’ll feel better!!! Omg. Workouts can aggravate your disease/symptoms further. What they should have been focusing on is helping to ease your pain and offer some sort of treatment plan. I was diagnosed with Avascular Necrosis 10 years ago. Caused my chronic use of steroids (medication not recreational). It started killing my joints. First my ankle and elbow. Shortly afterwards I started to have a deep pain in my hips. I was told to work out more. That it would help. He said that some cases require surgery but in his opinion I was hurting from being somewhat overweight. I was because of the steroids. I called him on his BS but not successful. I knew what he said was wrong. Because of being dismissed and given no support/help, I felt neglected and alone in a way. Frustrated and defeated. I attempted to exercise a bit more and it just caused even more pain. How can you exercise more or loose weight when you can barely move? When every step or motion feels like your being pulled apart or stabbing pain? My right hip collapsed 2 months later and I needed a Total Hip replacement. Several months after that, both shoulders followed suite. I completely understand what that doctor told you and how you felt. It’s horrible. At that point in time I did have a lot on my plate. Numerous diseases and conditions taking over my life just about. It took my husband, family and a few supportive friends to keep going. There was nothing I could do or a magic pill (I love how you say that too!!). So I had to find ways of accepting what was happening rather than let it consume be completely. That’s what my meaning of the title. Pushing through everything that tries to bring you down or take over your life. At times it took everything I had to keep going but I kept pushing forward. Even when it feels like you’ve gone one step forward and 2 steps back, I tried to even the odds and take 3 steps forward, that way I was making even one step forward no matter what. If that makes sense? I do hope that your Primary care physician has more ideas or can refer you to a different pain management doctor. You definitely had a dud!! I hate hearing you’re in so much pain!! Please let me know what your PCP says. Wishing better health and luck! “learn to live with the pain.” She has stopped attending school because of the pain, and another doctor told me that I was “not doing her any favors by keeping her out of school.” Wow. I am just not convinced that this is fibromyalgia to begin with, but since I have been to a specialist at a well-known hospital, all other doctors are very “hands off.” Don’t have another appointment with specialist who diagnosed until December. Any one have any advice? Oh gosh, just 12 years old! I’m so sorry to hear she is having such a hard time! That doctor was way out of line to tell her to basically deal with the pain. Unacceptable!! Especially when you have voiced concern about making sure it’s even the case. I would actually find a local pediatric pain management doctor. They would actually be able to confirm if it is in fact Fibromyalgia or possibly another factor. I take it you saw a Rheumatologist? I’d get a second opinion, but really I wouldn’t go back to the other doctor. Not with that dr being so dismissive. Living with daily pain, especially in a child is not acceptable. Period!! I disagree with him comment on not doing her any favors by keeping out of school, you are! She won’t be able to focus participate in public school when she is in so much pain. Please do find another specialist! I’ll pray you’ll be able to find help for your daughter! And please, anyone else reading this who has had fibromyalgia, please give her more tips!! Thanks so much for your reply, and I am so sorry it has taken me so long to get back. Pain has only increased in the last two weeks. I have been researching online and am very interested in information I have found on Shuermann’s kyphosis. Going to see the rheumatologist at Vanderbilt (who diagnosed the fibro) on Friday. I feel like I have a game plan, and if I don’t get the help I need, it will be time to make decisions about where to go next. Thank you for your prayers and support. Fentanyl is SO addictive! One pain specialist mentioned putting me on it and I refused because of the addictive properties of it. My name is Julie 49 years young. I have FM since 2004 car accident. I am seeing pain specialist.lidocaine shots, hydrocodone, pt, pool therapy, tai chi, yoga, mindefulness, art therapy, pain education every tuesday at the hospital and counseling. I love your letter on FM it is wonderful. I hope people know to seek help and find that specialist do not put up with anyone saying its not true, its in our head. they do not have FM every day. They do not have chronic Pain and therefore do not understand us. Find people who are uplifting and love you and support you through this and many flares.